In Indonesia, the calendar is filled with festivals and celebrations, both traditional and contemporary. 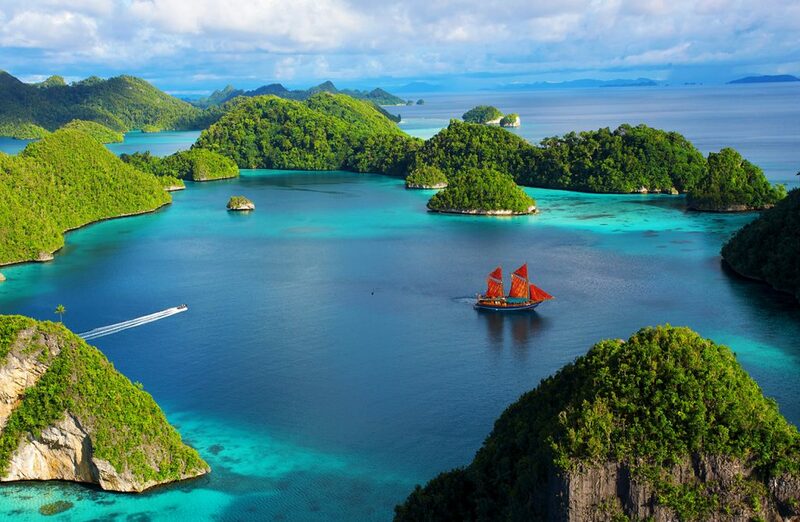 Thanks to its bewildering array of languages, ethnicities, traditions and beliefs, Indonesia offers visitors an infinite set of showpieces, some of which date back to prehistory. The modern stage is also a vibrant indication of Indonesia’s character; a country on the move, its cultural fabric interwoven with a long and storied past, but never afraid to break from tradition and party like there’s no tomorrow. 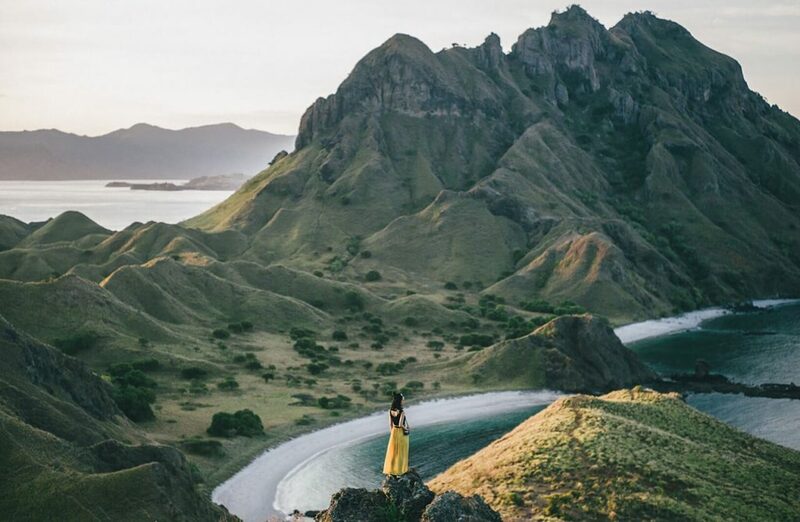 In this article, Panorama Destination takes a look at ten of the most eye-catching and memorable festivals which and events in Indonesia. 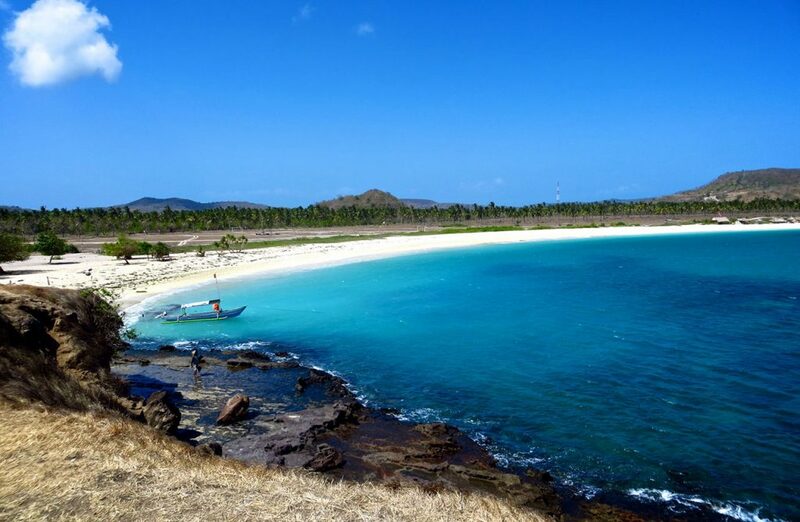 Pasola is the most spectacular and significant event in the calendar for the people of Sumba, East Nusa Tenggara. 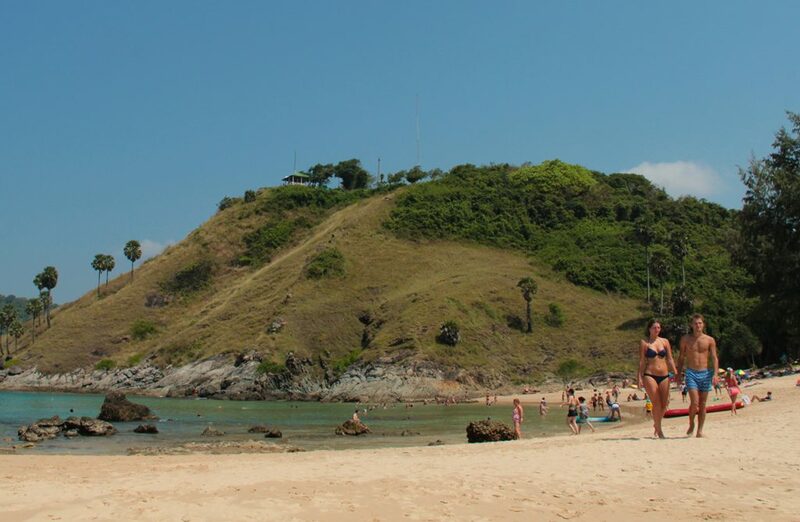 Held annually in February and March, Pasola is a ritual battle, when tribes come together to act out war games and appease ancient animist gods with bloodshed. 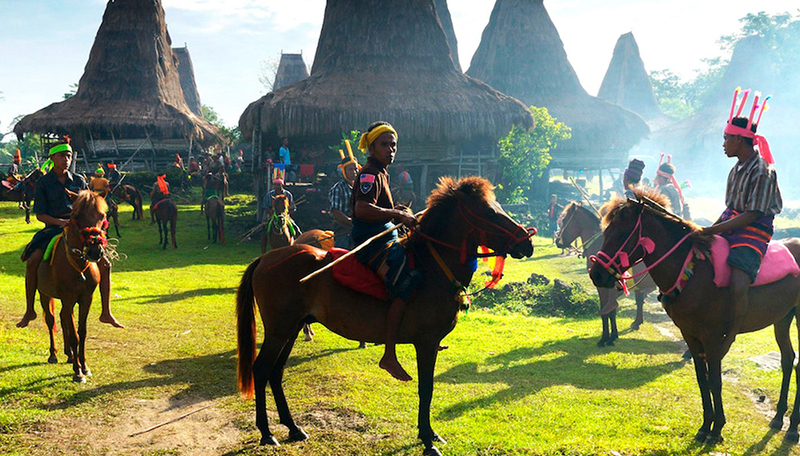 Fighting on horseback and clad in traditional ikat clothing, the warriors of Sumba hurtle towards each other at full tilt, throwing spears with unnerving and occasionally deadly accuracy. A galloping blur of ancient pride and power, Pasola is one of Indonesia’s most unique and fleeting cultural extravaganzas. 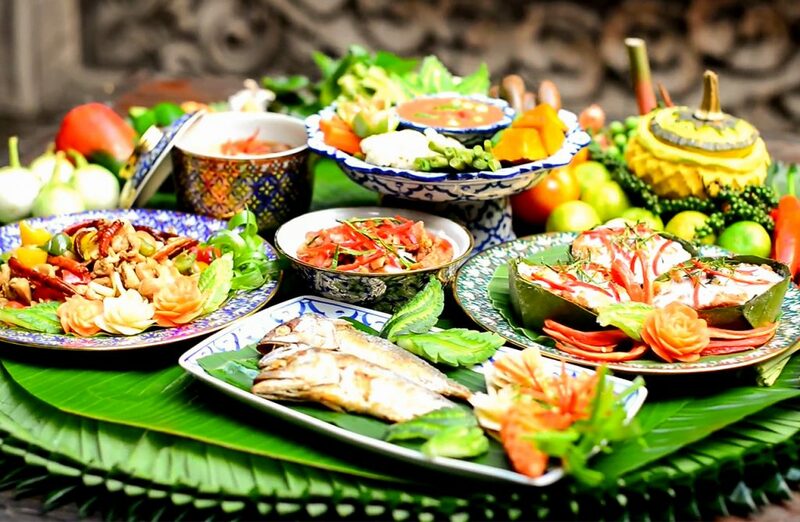 It offers intrepid travellers a glimpse back in time through dramatic traditions that have endured since prehistory. 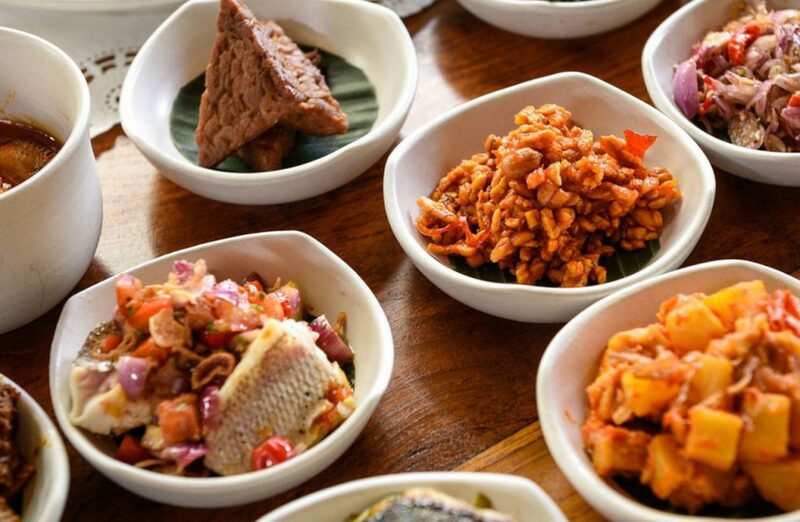 If the gods are willing and the festival falls during your stay, Pasola is an experience that stays with you forever. 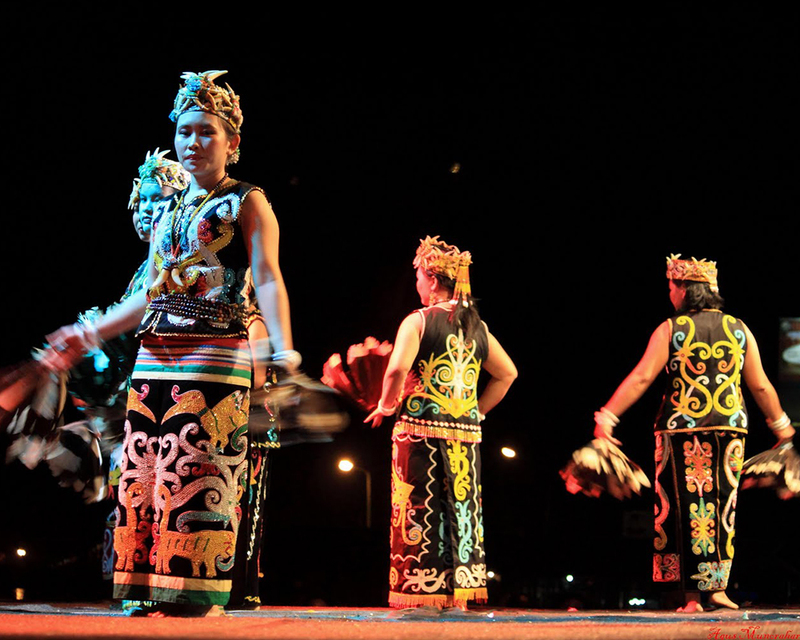 Held in September each year, the Lake Toba Festival features music, arts and crafts, traditional sports competitions, a tourism seminar and exhibitions. 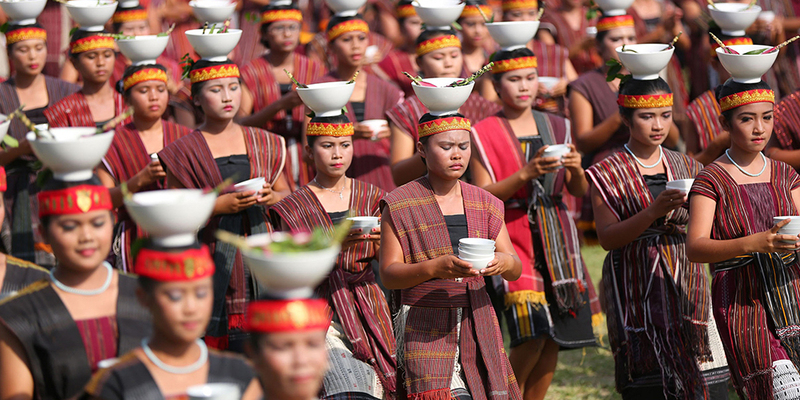 Among the many highlights of the festival, visitors can enjoy the Decorated Floats Parade, 4 Puak Colossal Dance, Lake Toba Caldera Geo Park, 5K Cross country Run, Folk Swimming Competition, Solu Dragon Boat Competition, Mocak and Tor-tor Tumba Dance, Toba Beauty Pageant and many more. The festival also features art performances from the regencies around Lake Toba including from Sibolga, Batubara, Dairi, Karo, Samosir, Toba Samosir, Padang Lawas, and North Tapanuli. 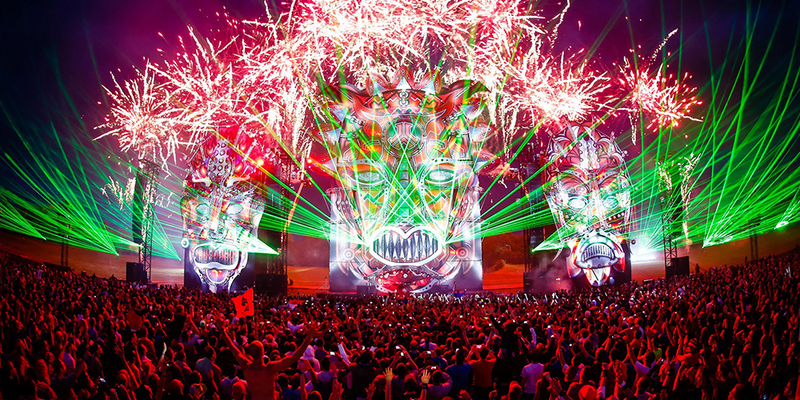 Djakarta Warehouse Project (or DWP) is an electrifying music festival held in the nation’s capital every December. 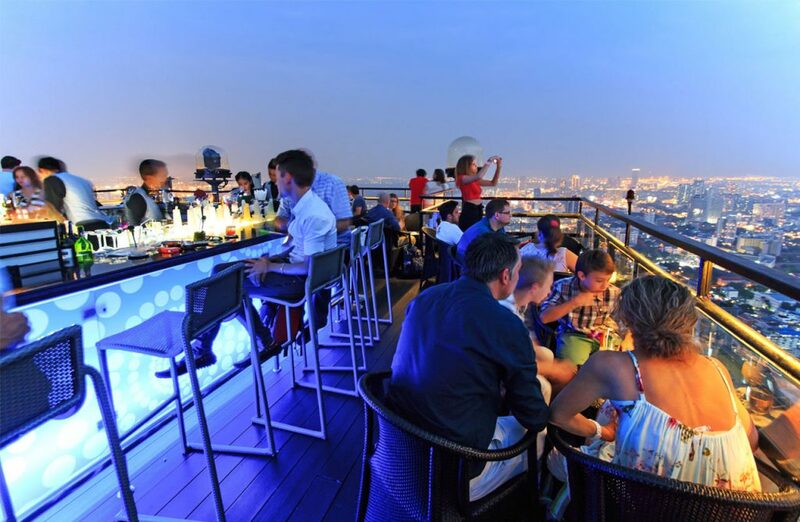 It has ridden a wave of popularity and underground notoriety to become the biggest annual dance music festival to be found anywhere in Southeast Asia. DWP welcomes approximately 75,000 partygoers from around the world, drawn like moths to the bright lights and heavy beats. 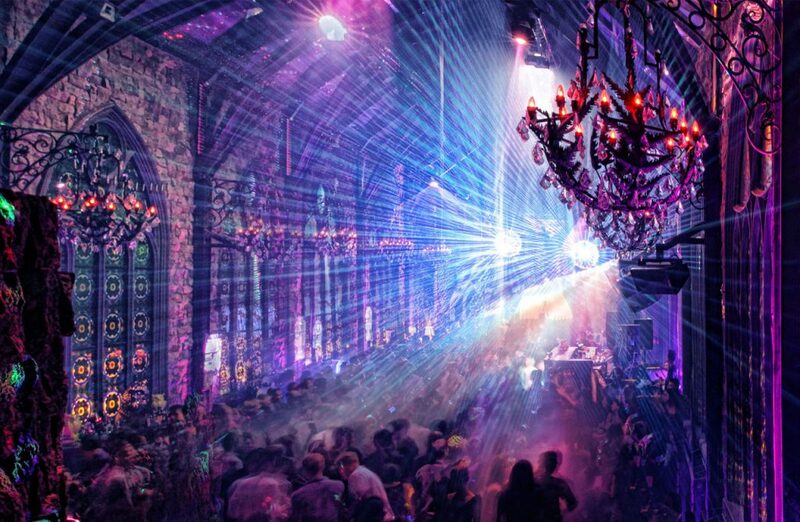 Many stellar names from the electronic music firmament light up the stage each year, will with superstar DJs such as Major Lazer, Blasterjaxx, Carl Cox, DJ Snake, Tiesto, Rudimental and Alan Walker some of the previous headliners. Southeast Asia’s largest and most renowned cultural and literary event, Ubud Writers and Readers Festival (UWRF) brings together a diverse mix of Indonesian and international writers, speakers, thinkers, artists, advocates, commentators and activists, to create a space for cross-cultural dialogue and connection. From literary luminaries to rising stars, political insiders to human rights activists, feminist filmmakers to social advocates, plus an undercover journalist, beauty queens, a comedy icons, World Poetry Slam champs, and more, this is truly a literature fiesta for all. 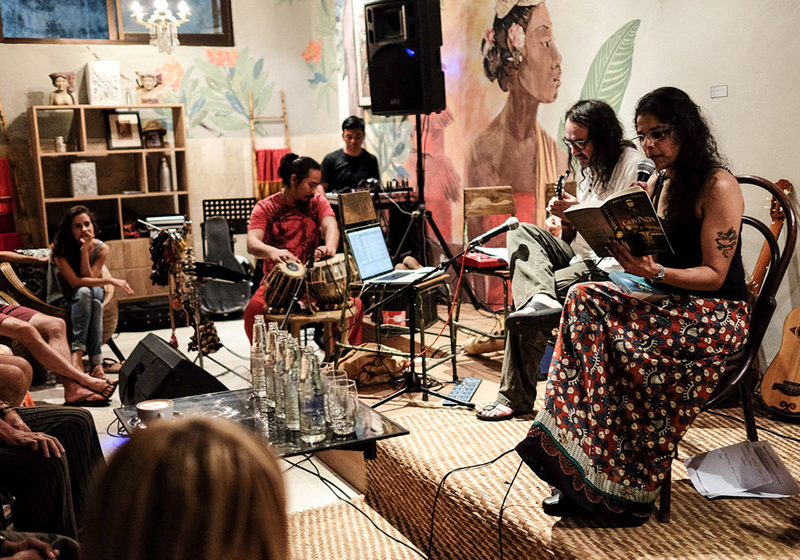 Located in Ubud, the cultural heart of Bali, the festival champions the transformative and revelatory power of literature and the arts. This powerful ideology is also crucial to the collective identity of Indonesia – uniting people from incredibly diverse religious, ethnic, cultural and historical backgrounds to share common respect and understanding. Ubud Readers and writers Festival is Southeast Asia’s premier celebration of words, ideas and commonality through creativity. In the highlands of Dieng in Java there is a phenomenon unique to the area, in which local children (anak bajang) naturally develop matted, dreadlock hair. The Dieng community believe the children’s unique hair comes directly from their ancestral leader Kyai Kolodete. They believe that the more the children’s hair becomes matted, so their lives will be more prosperous. When they come of age, the children’s dreadlocks are cut in a ceremony to celebrate their passing into adulthood. Held annually in August, the event features a procession, after which ritual prayers are conducted in spiritual places such as the great Balaikambang pool, Bima temple, Sikidang crater, the cave by the great colour pool and traditional Dieng burial sites. 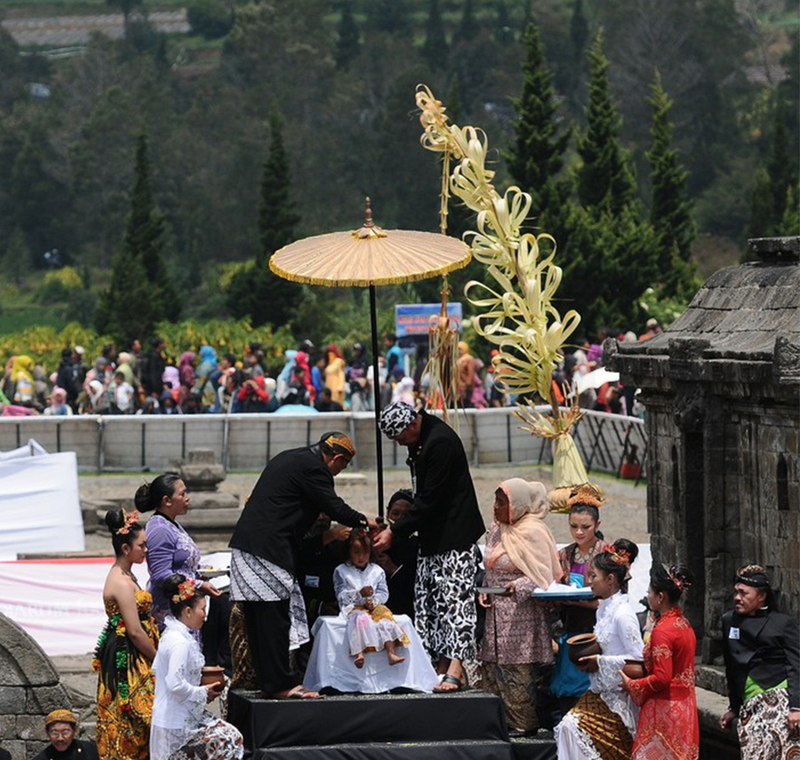 Besides the dreadlock cutting ceremony, Dieng Culture Festival also features the attractions of art, culture, Wayang Kulit shadow puppet shows, traditional dance, fireworks and art exhibitions particular to the ancient and storied mountains of the region. Open and welcoming to outsiders, the people of the volcanic Dieng plateau offer an intriguing glimpse into ancient traditions and superstitions - the magic and mysticism of Java. 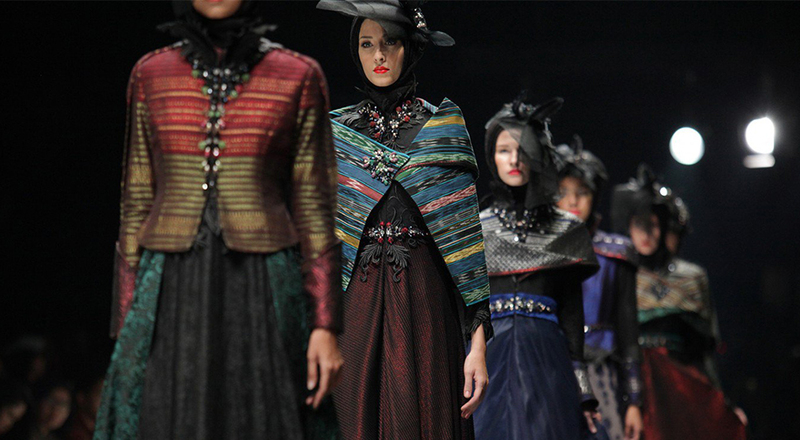 Since its creation 2008, Jakarta Fashion Week has been the stage for Southeast Asia’s largest celebration of fashion. Usually held in October, the festival plays host to a wide range of designers, buyers, photographers, stylists, models and media moguls, during a week of extravagance and style. 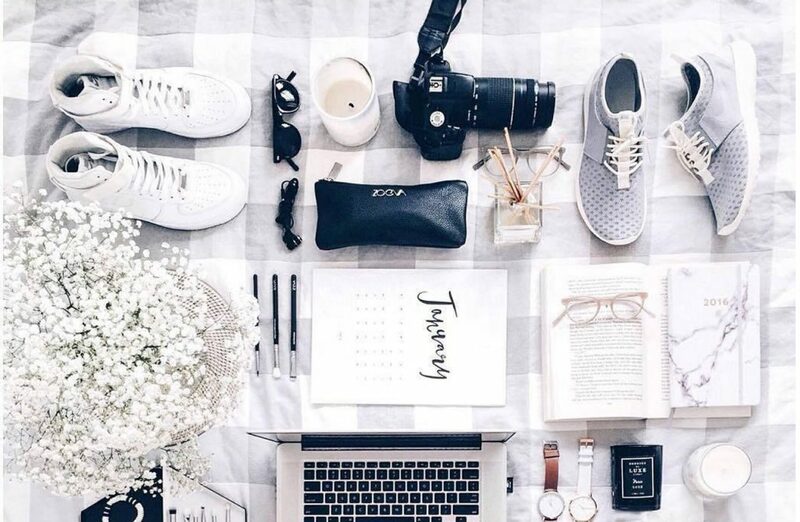 Each year, Jakarta Fashion Week features a full and fabulous schedule of events celebrating the very best in international fashion. From the Designers’ Parade during the opening ceremony, to themed Fashion Tents, catwalks, Trunk Show, presentations, demonstrations and tutorials by some of the biggest names in international fashion and glamour. sun are also readily available here, but it’s always better to have and not need, rather than risk needing but not having either of them. Java Jazz is the biggest musical event of the year in Indonesia; a three-day celebration of contemporary jazz that always proves to be a treat for music lovers from all over the world. 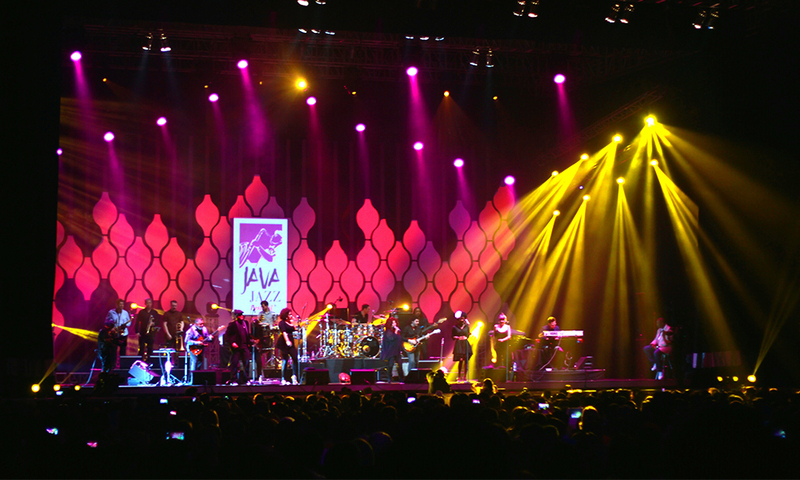 Since its creation in 2005, which attracted 48,000 audience members, Java Jazz has grown in size and stature. Now the festival hosts some of the top names in Indonesian music, along with a whole host of stellar international artists too. Previous headliners have included James Brown, Brian McKnight, Toni Braxton, Jamie Lidell, Stevie Wonder, Chaka Khan, Giles Peterson, Jamie Cullum and Joss Stone. Last year’s event was a massive success, drawing in a record number of 114,000 visitors and culminating in a performance by David Foster, Chris Botti and Sting. Erau is one of the oldest cultures in Indonesia. 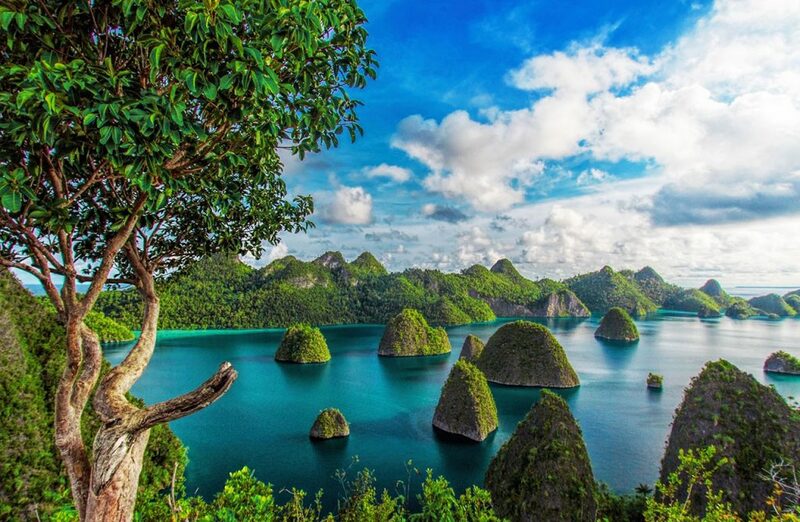 In the Kutai language (East Kalimantan), ‘Erau’ means crowded, downstream, homecoming and joy. 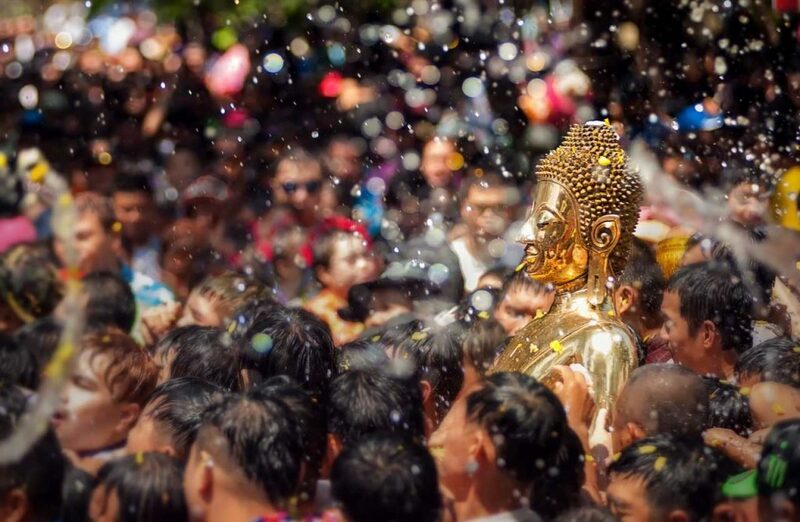 This multiplicity of meaning perhaps best encapsulates the festival, with myriad attractions and cultural intrigues on display. Erau was first implemented around the 14th century when Aji Batara (known as the god of the milky way) was appointed Raja Kutai when he was five years old. Community members rejoice and party for 40 days and 40 nights, playing in the land, rivers and shores of the local region. 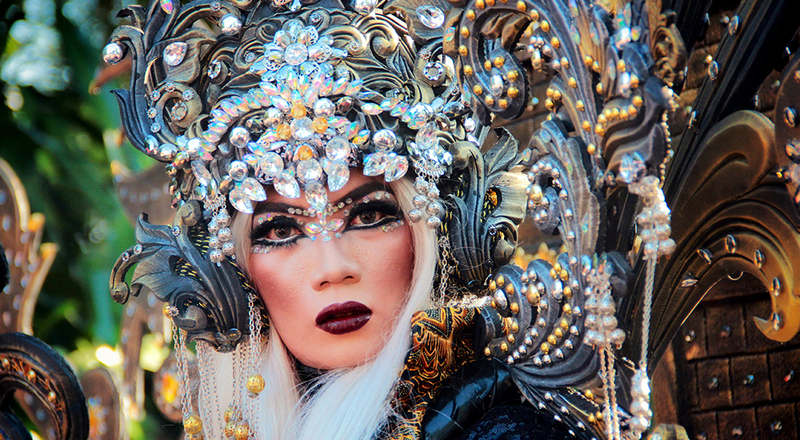 Held in July every year, Solo Batik Carnival is a colourful parade of extravagant designs, dance and performance through the streets of Solo in Central Java. Solo is the cultural heartland of Java, where traditional practices are proudly performed and celebrated on the modern stage. For one special day in July, the best batik makers from far and wide come together to present their creations. The streets are lined with locals and the city takes on a fantastically flamboyant carnival atmosphere in preparation for the carnival. The parade itself features thousands of models, each wearing costumes more mind-bogglingly intricate and elaborate than the last. With music, dance and theatre all wrapped up in a riot of colour, Solo Batik Carnival is an unforgettable procession celebrating the showmanship and artistry of Indonesia. 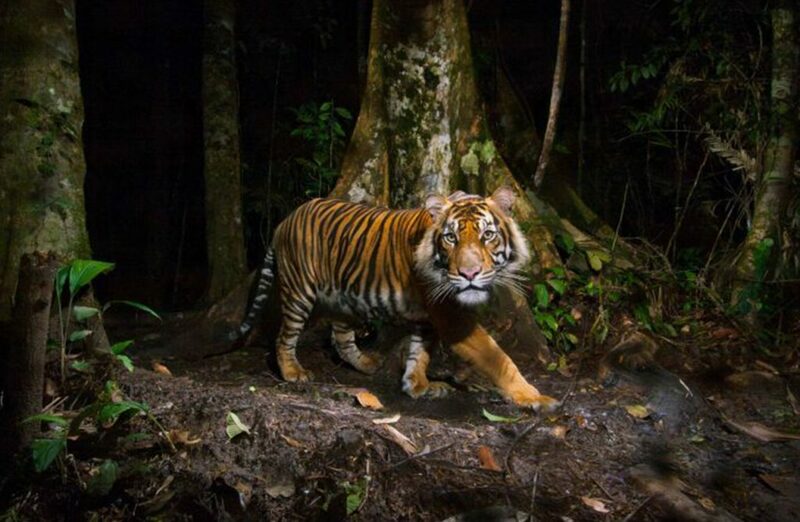 This is a New Year celebration unlike anywhere else on the planet. 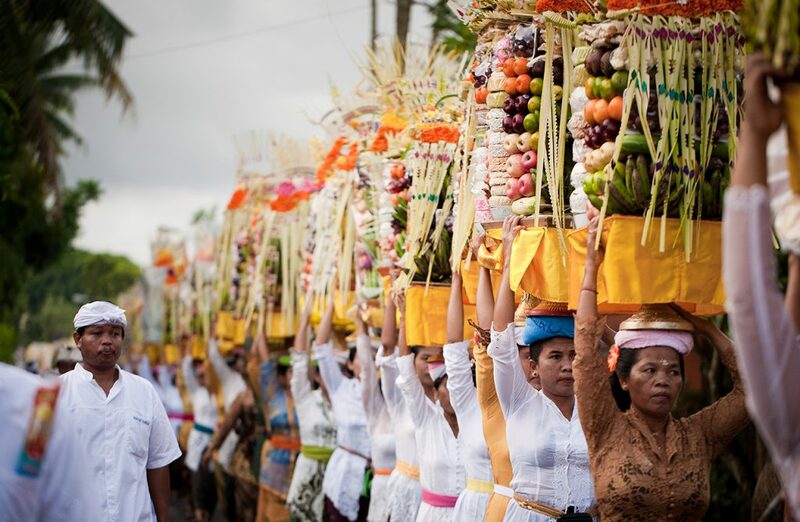 To celebrate the Saka New Year in March, daily activities in Bali come to a complete standstill. The usually pulsating streets are empty, no music plays, no voices can be heard and nobody steps outside their home for a whole day. It’s a bizarre and blissful return to tranquillity. 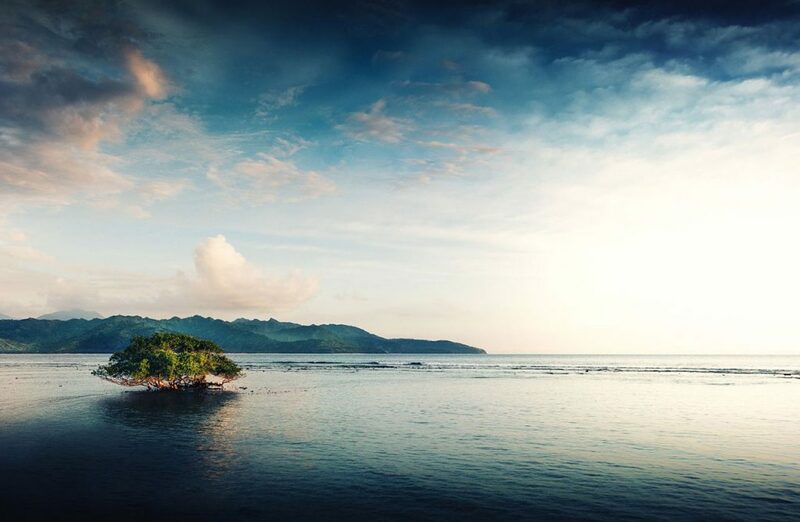 Although the festival is known as the Day of Silence, there’s plenty going on either side of the day itself that will turn up the volume on your adventures. There is a storm before the calm, with streets packed and bustling for colourful processions known as the Melasti pilgrimages during the three days before Nyepi itself. It is one of the best times to capture iconic Balinese processions on camera, as parasols, banners and small effigies offer an amazing cultural spectacle that’s found nowhere else on earth. 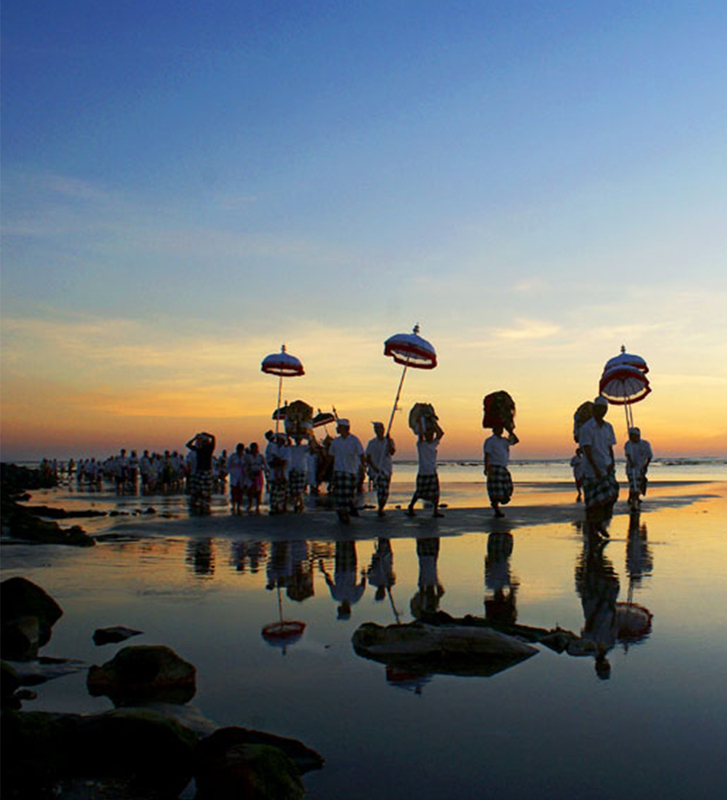 Most Balinese regard Nyepi as a sacred and much-anticipated special occasion. Travellers will be expected to observe the silence too. 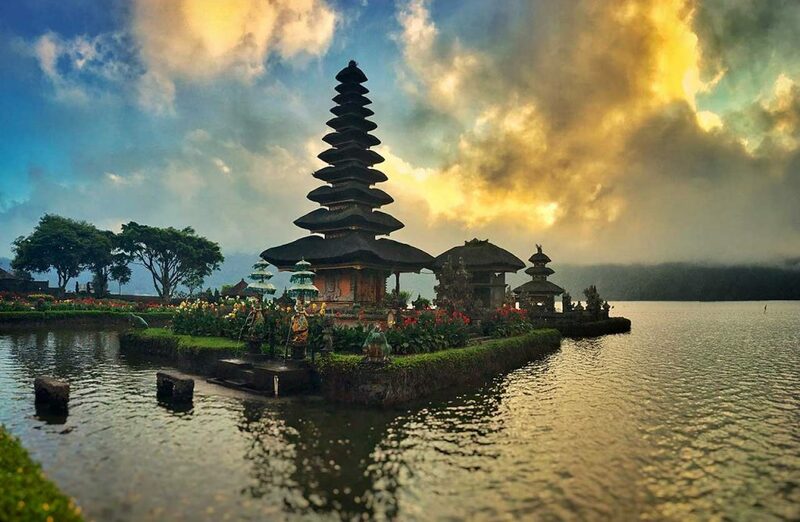 Some expats and visitors prefer to avoid Bali at this time, as the restrictions around transport, accommodation and even basic activities can be incompatible with holiday plans. 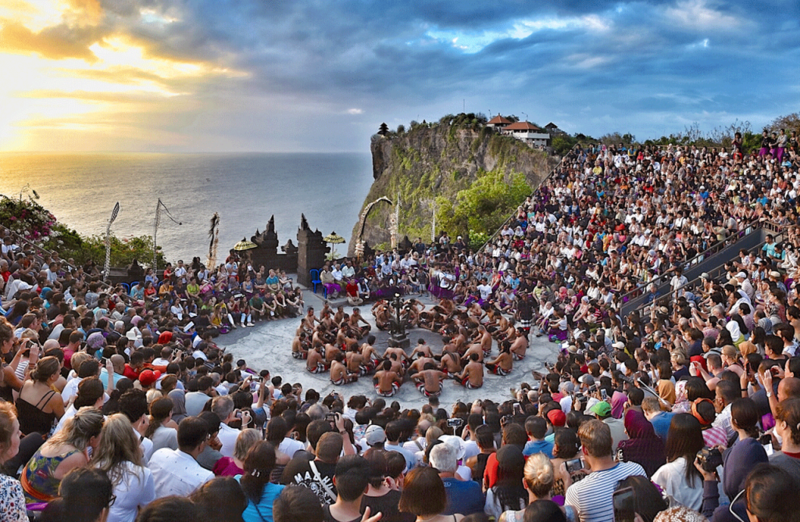 Despite this, Nyepi is worth experiencing at least once in a lifetime; festivities either side of the festival are spectacular, plus the day itself offers an eerily wonderful insight into the culture of Balinese celebrations and worship.